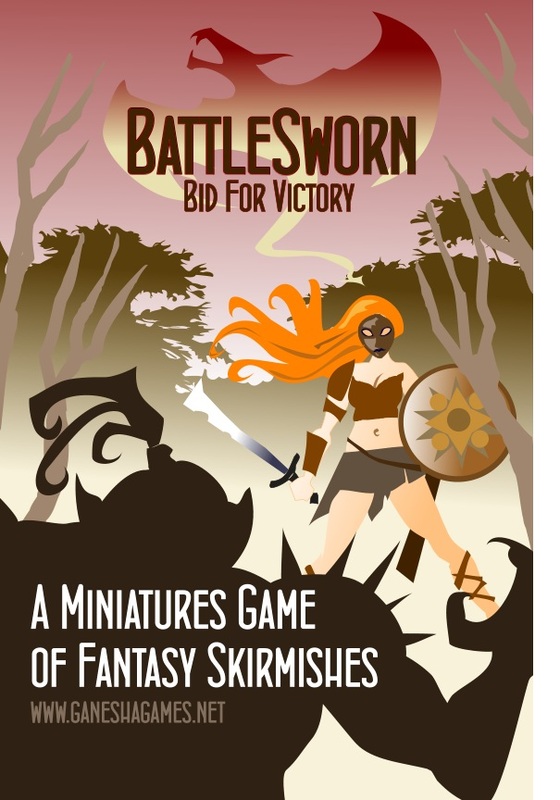 BattleSworn is a simple set of rules for fantasy skirmish actions. Using a handful of miniatures in any scale and six-sided dice, two players can bring a game to a conclusion in around one hour. Table size is irrelevant. Distances are determined by terrain and by the position of enemies: no inches, no centimetres, no measuring sticks. Character profiles are not encumbered with detailed statistics. They are defined by 14 classes (Fighter, Shooter, Sniper, Tank, Brute, Leader, Rogue, Warmage, Sorcerer, Healer, Cavalry, Flyer, Arquebusier, Rabble) each with its special traits.This allows you to play with minimal preparation. This is NOT a game for detail-oriented players or power-players. BattleSworn includes two sample scenarios, a mini-bestiary, 28 sample forces, 15 spells, guidelines to adapt the rules to other genres, and many pages of play examples and FAQs. This is a stand-alone game. No other purchases are necessary. 48 trade-size full-color pages, including table of contents, cover, play sheet and a one-page play summary. The download includes a separate PDF with printable cards for spells and a spreadsheet to help you build your force. * * NOT based on the Song of Blades engine or any other game by Ganesha Games.